Wine lover or history fanatic? This stop is for you. The Dallidet Adobe was home to the Dallidet family, the first commercial vintners in the San Luis Obispo area. Now owned and run by the History Center of SLO County, the Dallidet Adobe & Gardens is a great place to soak up knowledge on the development of the wine industry in the area while taking in beautiful landscapes. This historic landmark can be found at 1185 Pacific Street in Downtown San Luis Obispo. Standing as iconic sites to see and having opened in 1942 and 1973, these two theaters are great stops to add to any San Luis Obispo traveler’s list. The Fremont, located at 1035 Monterey Street, spent its early days switching between movie showings and live theater performances and is now known for hosting the San Luis Obispo International Film Festival annually. You can’t miss the landmark marquee sign that lights up Downtown SLO at night. 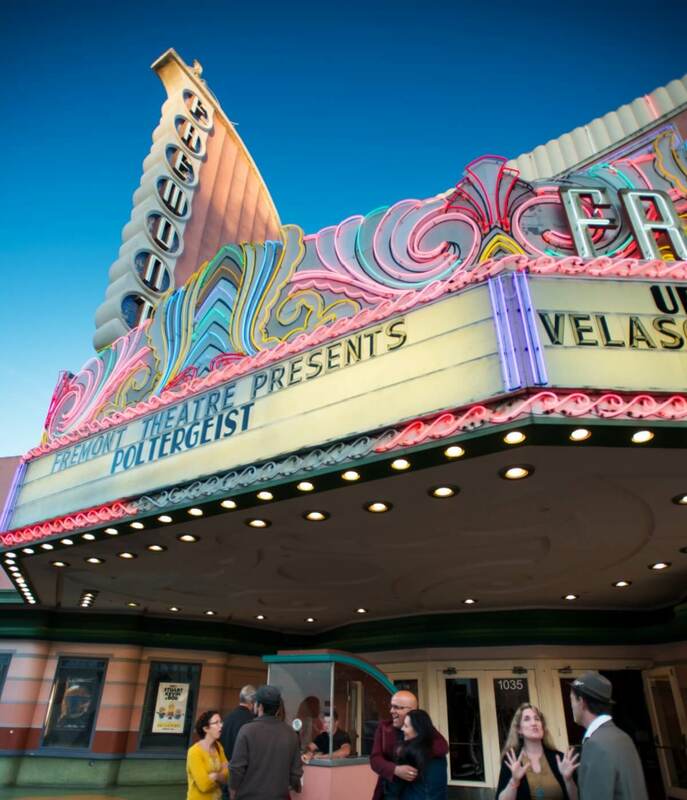 The Palm Theatre, situated at 817 Palm Street, sets itself apart from most theaters by showing less known, indie films from local documentaries to short films to international wonders. Fun fact: The Palm was the first theatre in the United States to transition to solar power energy. If you’re looking for a dinner and a movie sort of night, these two are wonderful options for enjoying San Luis Obispo’s history. Hearst Castle, an international, bucket list attraction, is located just a quick, 45-minute drive north up Highway 1 from SLO. Designed by Julia Morgan, this iconic and architecturally jaw-dropping castle rests atop “La Cuesta Encantada,” known as the Enchanted Hill in San Simeon. The 165 room and 123-acre castle not only wows visitors with its beauty, but tells stories of the Hearst family history. This castle is, in fact, so large that visitors must purchase tickets to tour certain areas of the castle. Fun fact: Hearst Castle once housed the world’s largest private zoo so keep your eyes peeled for the bear caves, zebras and other exotic animals as you leave the property! The San Luis Obispo Tribune deemed Palm Street as SLO’s very own Chinatown in 1872 to recognize the hard work of the Chinese immigrants who helped to construct the railroads in and around San Luis Obispo. Although much of Chinatown was torn down for less exciting construction projects, the Ah Louis Store, located on the corner of Palm and Chorro Street, is the last structure standing from the original SLO Chinatown. The store is named after the Chinese immigrant Wong On, who contributed to the construction of many industrial structures in the area, and was later renamed to Al Luis. Too much to cover in too little time? The History Center is a great one-stop shop for a quick overview of the San Luis Obispo story. Located in the old Carnegie Library building at 696 Monterey Street right next to the mission, the museum can’t (and shouldn’t) be missed. Located at 536 Marsh Street in Downtown San Luis Obispo, the Jack House gives visitors a glimpse into the Victorian era. Chock full of original art and furnishings, this house holds stories of the history and development of San Luis Obispo County. Robert Jack, the original owner of the house, was the first of the Jack line to come to California. Through his accounting business connections, he met and married the daughter of Colonel W.W. Hollister, the man from which Hollister, California got its name. Looking for more fun facts? I highly recommend you visit. Located at the intersection of Chorro Street and Monterey Street in the heart of Downtown San Luis Obispo, the mission had its start in 1772 when the Spanish established the mission smackdab in the middle of grizzly bear territory to help feed starving settlers in previously established missions. To earn the trust and acceptance of the local Chumash Indians, the Spanish traded some of the meat with the tribe. As you stroll through the mission, keep your eyes peeled for the bear fountain. Learn more about touring Mission San Luis Obispo de Tolosa today, offering free docent-led tours every day. 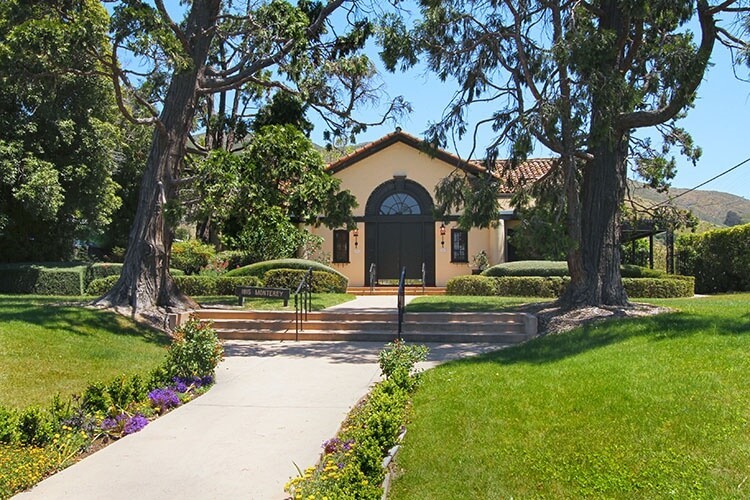 Designed by the famous architect, Julia Morgan, who was best known for her work on Hearst Castle, the Monday Club of San Luis Obispo became the hub for women in the area to organize and create positive change within the community. As you can probably assume from the name, the club meets on the first Monday of every month to discuss initiatives and important community matters. Still fully functioning, visit the Monday Club on Mondays between 2:00 – 5:00 p.m. to receive a guided tour from a member. Neighboring the San Luis Creek next to the intersection of Grand Avenue and Monterey Street, this stop is a must see, even if just to admire Morgan’s architecture. Take an old-fashioned trolley, kayak or hike to find the lighthouse at the outskirts of Avila Beach. The Point San Luis Lighthouse, which is the only remaining Prairie Victorian lighthouse on the West Coast, was constructed in 1890 after the sinking of the Queen of the Pacific, just 500 feet from the pier of Port Harford. Although there were no lives lost in the sinking, it made it clear that Port Harford needed a lighthouse to guide ships safely to the port. Although the lighthouse was decommissioned in 1974, it has been restored and opened to the public by the non-profit corporation, Point San Luis Lighthouse Keepers. If you’re looking to get outside on a sunny afternoon along Central Coast, consider a day trip to the lighthouse and enjoy lunch on the beach in Avila. All aboard! Whether you are looking for a new train set for your kids or are fascinated with railroad history, a stop at the old Southern Pacific Railroad Freight House is great for the whole family. 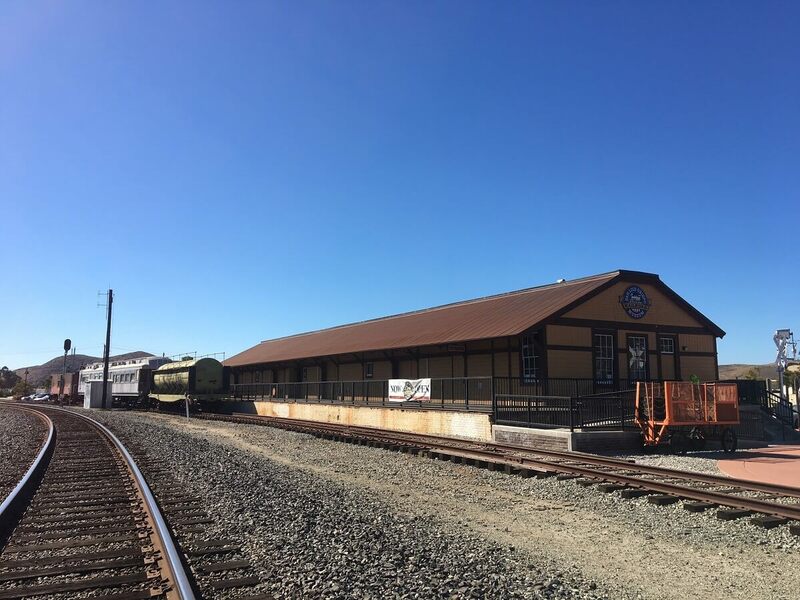 Open to the public every Saturday from 10:00 a.m. – 4:00 p.m., visitors can enjoy the history of California railroads from the Freight House or from a restored section of a train. With educational docents, exhibits, and artifacts from the early railroad days, the Railroad Museum is a must see as you enjoy the SLO life. You can find the museum next to the Amtrak railway at 1940 Santa Barbara Avenue. Still looking for more historic sites? You’re in luck because San Luis Obispo is filled with them! You can find historic properties listed all over San Luis Obispo today.